SFB 128. 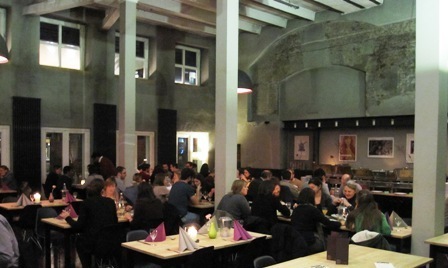 This year’s Young Investigator retreat will be on May 9 and 10 at Kloster Wasem (Ingelheim). The organizers and YI representatives kindly asks everyone who has not yet done so to give a quick feedback about his or her participation by email to Manuela.cerina@ukmuenster.de. More information about the event as well as a schedule will follow in due course. SFB 128. We are happy to announce the international Symposium of the Collaborative Research Centre 128 “Multiple Sclerosis” taking place from Sunday, September 15th, till Tuesday, September 17th, 2019 in the Rhine Main region. Full details of the event will follow. Munich. The Cluster for Systems Neurology (SyNergy) by LMU and TUM will receive funding from 2019 on. Currently SFB PIs Prof. Reinhard Hohlfeld, Prof. Martin Kerschensteiner, Prof. Mikael Simons are also PIs of SyNergy projects. Munich. (LMU) Multiple sclerosis (MS) is the most common inflammatory disease of the central nervous system. There are many indications that MS is an autoimmune disease in which immune cells “accidentally” attack the brain and spinal cord. However, as with other autoimmune diseases, the actual triggers of the autoimmune reaction are still unknown. A new study by scientists from the SFB 128 demonstrated for the first time that gut bacteria of MS patients are able to trigger an MS-like disease in an animal model. More . . .
Munich. SFB CRC 128 researcher Dr. Klaus Lehmann-Horn, Department of Neurology, has acquired 396.000€ of funding as part of the framework „MyLab“, which is sponsored by the Hertie foundation. The duration of the project „Antigen-driven affinity maturation of B lymphocytes in meningeal ectopic lymphoid tissue in a model of Multiple Sclerosis“ will be 5 years, starting on January 1st. Munich. In a recently published PNAS paper we visualized intracellular calcium in the encephalitogenic T cells in vivo by using FRET based sensor. The T cells showed short and long lasting calcium signaling dependent on their interaction partners. The blocking of the calcium signaling can be used as target of therapeutic treatments . More . . .
Münster. (mfm/jr) Whether it be math, writing, reading or learning a new language: brain cells give us astonishing brainpower every day. When these cells are damaged by neurological diseases, cells cannot be simply sampled and analyzed in a petri dish. Scientists from the University of Münster and the Max Planck Institute for Molecular Biomedicine developed a new protocol to generate their brain cells of interest, oligodendrocytes, from skin. The team in Münster belongs to the few labs worldwide that have established this technique successfully in their lab; however the team in Münster can do this now much faster and more efficiently – with significant benefit for research. More . . .
Münster – The enzymes gelatinase A/matrix metalloproteinase-2 (MMP-2) and gelatinase B/MMP-9 are essential for induction of neuroinflammatory symptoms in experimental autoimmune encephalomyelitis (EAE), a mouse model of multiple sclerosis (MS). In the absence of these enzymes, the disease does not develop. 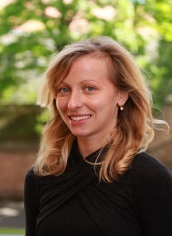 SFB128 scientists of Prof. Dr. Lydia Sorokin’s group, therefore, investigated the cellular sources and relative contributions of MMP-2 and MMP-9 to disease at early stages of EAE induction. They demonstrated that MMP-9 from an immune cell source is required in EAE for initial infiltration of leukocytes into the central nervous system and that MMP-9 activity is a reliable marker of leukocyte penetration of the blood-brain barrier. The neuroscientists then developed a molecular imaging method to visualize MMP activity in the brain using fluorescent- and radioactive-labeled MMP inhibitors (MMPis). By using radioactive MMP ligand in EAE animals the Muenster neuroscientists produced positron emission tomography (PET) images of MMP activity in patients with MS. In contrast to traditional T1-gadolinium contrast-enhanced MRI, MMPi-PET enabled tracking of MMP activity as a unique feature of early lesions and ongoing leukocyte infiltration. MMPi-PET therefore allows monitoring of the early steps of MS development and provides sensitive, noninvasive means of following lesion formation and resolution in murine EAE and human MS, the neuroscientists conclude. Their work was part of the SFB projects B03 and Z02. Münster (mfm/sk-sm) – The scenario resembles a serious motor accident: a car has spun out of control, breaches the central crash barrier and collides with the oncoming traffic. In the case of multiple sclerosis, harmful T-cells break through the protective blood-brain barrier and thus penetrate into the central nervous system (CNS), where they trigger a destructive inflammation. What’s special about this is that evidently the CNS also has “accident black spots” – in other words, places where an especially high number of centres of inflammation are be found. Neuro-immunologists at Münster University have now found out why this is so. More . . . 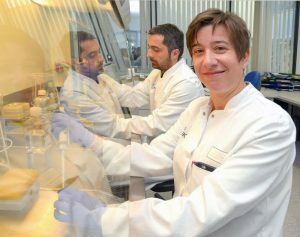 Within a project of the SFB 128, scientists from the universities in Münster and Munich have discovered what precisely goes wrong in the body in the case of multiple sclerosis (MS). At the same time the neuroscientists were able to demonstrate that for MS, which occurs in bouts, there is a therapy which is tailor-made to eliminate the deficit. More Information . . .
Dr. Atay Vural has been awarded a stipend by the Alexander von Humboldt Foundation to spend time in the group of Prof. Edgar Meinl to conduct research into MOG-Ak, which is part of the work done in the CRC-TR128 B08 project. After Dr. Vural’s stay in Prof. Meinl’s group, he will return to his home country of Turkey, where he will employ the techniques learnt in Germany in further research projects. 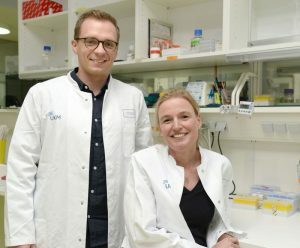 Sarah Laurent und Franziska Thaler, scientists working on the B08 project of the CRC TR128, have been awarded the Helmut Bauer Prize 2015 for young researchers for their work on the survival, regulation and activation of B cells in multiple sclerosis (see publications below). More information on this prize can be found in this press release (in German). You can read the associated article and listen to the interview on the Deutschland Funk website or using the player below. Nina Wettschureck (MPI Bad Nauheim) from the CRC-TR-128, together with Markus Schwaninger (University of Lübeck), has been awarded the Novartis prize for therapy-relevant pharmacological research. The prize, which carries a value of €10,000, was presented at the Annual Conference of the German Society for Experimental and Clinical Pharmacology and Toxicology (DGPT) on 12 March 2015 in Kiel. 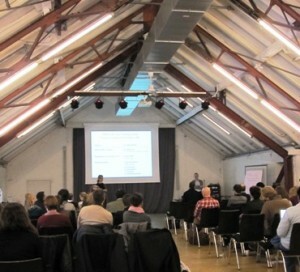 Thanks to all those that attended the Retreat in February in the Factory Hotel in Münster. 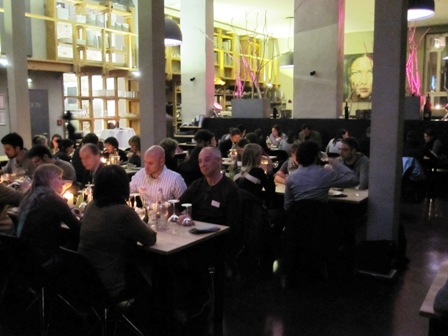 We heard the latest on a selection of the CRC projects and there was also plenty of time for fruitful discussion and socializing in the evening. Congratulations to Krishnaraj Rajalingam (Project B9) who has received a prestigious Heisenberg Professorship for cell biology at the Institute for Immunology of the University Medical Center of the Johannes Gutenberg University Mainz. This is the first such professorship for the JG University of Mainz. Further details can be found here. Thanks to all those who attended the CRC Retreat in Munich in May. As well as having great weather, there were also excellent scientific talks and lively discussion during the poster session and in the Biergarten afterwards. Special thanks go to the organizer Jutta Marks, who did a fantastic job in making this such an enjoyable meeting for all concerned. Bittner et al’s paper entitled Endothelial TWIK-related potassium channel-1 (TREK1) regulates immune-cell trafficking into the CNS published in Nature Medicine is now available to be viewed here.